Occupant load weight 250 lb. Model #4133 load is 375 lb. 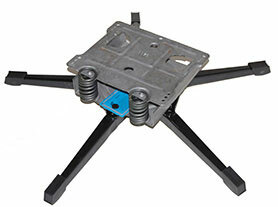 "I don't know a better or stronger Rocker Swivel Leg set built"
Top plate Height *5 1/4"
action from "soft" to "hard"
Top plate Height *6 1/4"